We tend to think about routines when a new school season begins. Yet, I find that one of the key tricks to keeping my life on track is going to bed at the same time no matter what. That can feel challenging when summer is here and the sun doesn’t set until late. That can also feel challenging when the new fall shows begin, holiday parties are abundant, or spring arrives. The thing is, though, if you want to live a life you love, ensuring you get better sleep is critical. I’m a big fan of getting adequate sleep. I also know how easy it is to slip into the habit of going to bed later. I mean, hey, the summertime with all those hours of evening sunlight! An invitation for an evening walk or have a get-together with friends. Once you get out of the routine of making sleep a priority, it’s hard to get back in the groove. There are so many attractive options: television, Facebook and Netflix. And when the weather is nice, a late walk or sitting on the porch is relaxing. Yet, there are also many important reasons to ensure that you are getting enough sleep. Sleep Improves Memory. Your mind is surprisingly busy while you snooze. During sleep, you can strengthen memories or “practice” skills learned while you were awake (it’s a process called consolidation). This consolidation also helps you learn new skills – whether it’s French or a new golf swing. Sleep Spurs Your Creativity. Get a good night’s sleep before creating art: from knitting to painting to writing. In addition to consolidating memories, or making them stronger, your brain appears to reorganize and restructure them, which may result in more creativity as well. Researchers at Harvard University and Boston College found that people seem to strengthen the emotional components of a memory during sleep, which may help spur the creative process. That also means that it helps you be more creative when it comes to problem solving! Adequate Sleep Encourages a Healthier Waistline. Did you know that sleep and metabolism are controlled by the same sectors of the brain? Researchers at the University of Chicago studied dieters that lost similar amounts of weight. Those that were well-rested lost mostly fat while those who were sleep deprived lost mostly muscle mass. Dieters in the study also felt hungrier when they got less sleep. Curb Inflammation with Better Sleep. One of the most eye-opening lectures I’ve attended was about the body, health, and inflammation. The doctor explained that inflammation is our body’s attempt to get our attention. What he called loud inflammation like aching joints was a precursor to those silent big-deal inflammations: heart disease, stroke, diabetes, arthritis, and premature aging. Research indicates that people who get less sleep – six or fewer hours a night – have higher blood levels of inflammatory proteins than those who get more. 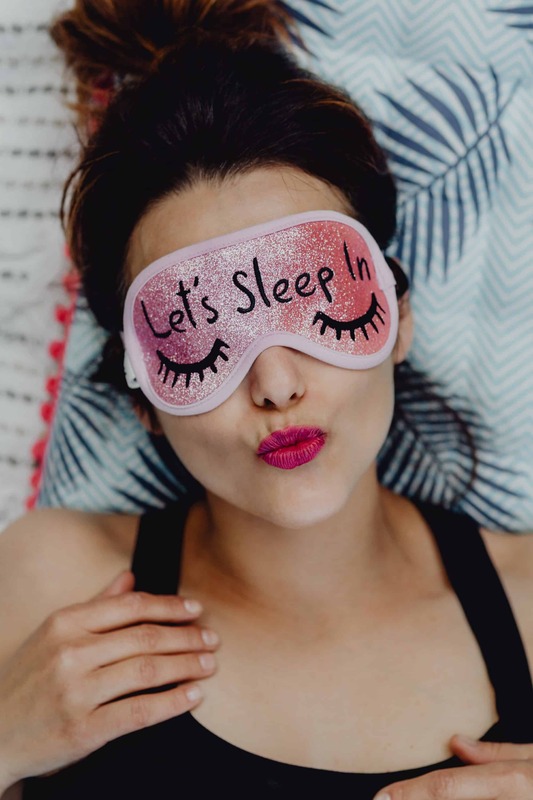 More Sleep Helps Lower Stress When it comes to our health, stress and sleep are nearly one and the same and both can affect cardiovascular health. You may be nodding your head. Or you may be saying, yes, I KNOW all this, but sleep and I are just not friends. How does all this knowledge and he pressure to get more sleep and better sleep actually equal ME being able to do so? I hear you, sister! I know I’m not the only one in my age group who regularly wakes at 3 AM, unable to drift back off. And, honestly, several days in a row of waking up in what should be the middle of the night makes me feel crappy and even more stressed. If you’re struggling with sleep issues, it’s important to address them for your mental, physical, and emotional health. Yes, a visit to your doctor may be in order. First, though, give some of these holistic tips a try. Create a Relaxing Evening Routine. Ease the transition from wake time to sleep time with a period of relaxing activities an hour or so before bed. Read a book or practice meditation. Watch a soothing TV show (just not from bed). Take a bath (the rise, then fall in body temperature promotes drowsiness). Prepare for the day ahead so you don’t worry about getting out the door. Also, avoid stressful, stimulating activities—doing work, watching the news, discussing emotional issues. Physically and psychologically stressful activities can cause the body to secrete the stress hormone cortisol, which is associated with increasing alertness. Do the Math. If you aren’t getting adequate sleep, do the math to figure out what time you need to go to bed to ensure you do. That means that going to bed past midnight doesn’t work if your alarm goes off at 6 AM. If you struggle with going to bed, set an alarm on your phone to begin getting ready for bed at the optimum time. Listen to Your Body and Let It Overrule the Clock. There are just going to be those days when you’re exhausted at 8 PM. Stop trying to force yourself to stay up until a “reasonable” bedtime and go to bed already. It’s your body’s way of asking for more sleep without running late for work. Sleep Naked. When you sleep naked, there’s no pajamas or nightgowns to get tangled in. Nightwear can invariably makes you hotter or feel anxious during active dreams. When you sleep naked, it helps keep your body temperature at the optimal ranges so your body can better create cortisol. If you sleep overheated your cortisol levels tend to stay high, even after you wake up. This can lead to increased anxiety, cravings for bad food, weight gain, and more terrible things. Sleep naked so you can keep your body temperature down. And sleep well so your body can properly produce and regulate cortisol. While You’re Sleeping Naked, Do So with Your Partner. Our bodies need to be cool for better sleep, but as humans, we also need intimacy. Sleeping naked with a partner gives you the opportunity for skin-on-skin contact. 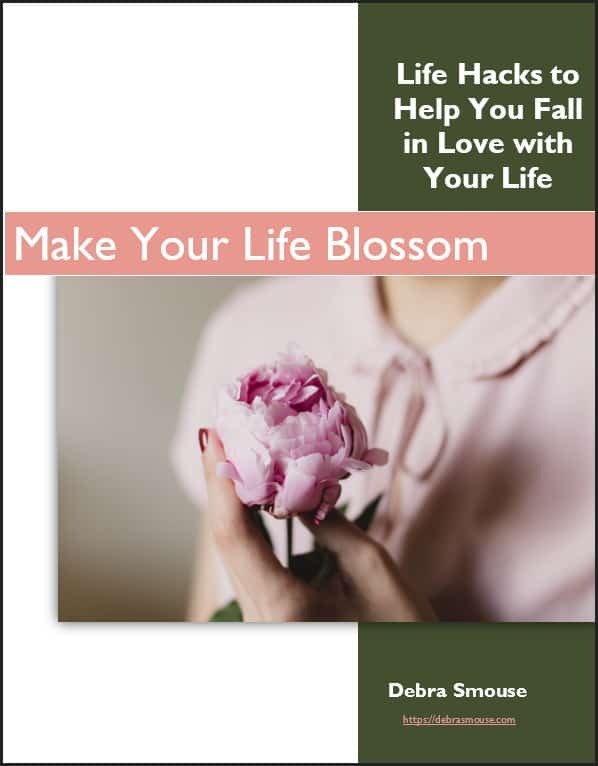 That kind of intimate contact releases copious amounts of oxytocin, which is the neurotransmitter that helps you feel good – about yourself and your honey. But Don’t Sleep with Fido Or Fluffy. I confess, I’ve slept with pets in the past and you know what? They regularly woke me during the night. Banning your pets from your bed – or even your bedroom – can lead to better sleep and less middle-of-the-night wakening. Exercise Early in the Day for Better Sleep. Our bodies need movement and as little as 10 minutes of aerobic exercise, such as walking or cycling, can drastically improve nighttime sleep quality – as long as it’s done at the right time. Exercise stimulates the body to secrete the stress hormone cortisol, which helps activate the alerting mechanism in the brain. Try to finish exercising at least three hours before bed or work out earlier in the day. Count your Blessings. If you tend to take your problems to bed, try writing them down—and then putting them aside. Better yet, write down your worries and set them aside and then record your biggest accomplishment of the day and three things your grateful for. It helps you seed your dreams with good stuff. Adjust your Lighting for Better Sleep. Exposure to both natural and artificial light before bedtime can interfere with better sleep. Too much light, especially those blue tones, disrupts the production of the hormone that helps shift your body into sleep, melatonin. Besides removing electronics from the bedroom, consider adding a dimmer, replacing the bulbs in your lamps to lower wattages, and installing better blinds or drapes. Use Light to Your Advantage. Exposure to natural light keeps your internal body clock on a better sleep-wake cycle. So, let the light into your bedroom soon after waking, especially if you’re not getting enough sleep. Then, taking during the day to catch some rays will continue to encourage your body’s relationship with the rhythms of nature. Controlling Noise Can Encourage Better Sleep. If noises bother you, consider sleeping with earplugs to block them out. Sometimes, though, you need a little noise. Consider a white noise machine or even listening to an audio book to help you settle into resting. Ensure Better Sleep with Lighter Evening Meals. Eating a spicy or heavy meal (hello, late night pizza craving) may be a recipe for insomnia. Finish dinner several hours before bedtime and avoid foods that cause indigestion. If you get hungry at night, snack on foods that (in your experience) won’t disturb your sleep. Don’t Be a Nighttime Clock-Watcher. Staring at a clock in your bedroom, either when you are trying to fall asleep or when you wake in the middle of the night, can actually increase stress, making it harder to fall asleep. Turn your clock’s face away from you if this is a habit. Don’t Just Lay There. If you wake during the middle of the night and are unable to go back to sleep within 20 minutes or so, go ahead and get up. Put on a robe and do some light activities in a comfortable spot, like reading or listening to relaxing music. If you don’t get sleepy again, call it morning and stop fighting it! Redecorate Your Bedroom. Did you know that cool-toned colors – grays and blues – could improve your sleep? That’s because warmer shades like red and yellow can increase heart rate, blood pressure, and bodily temperature. If you’re struggling getting enough sleep consider a new coat of paint! Soothing Scents Can Lead to Better Sleep. Fragrances like lavender, jasmine, and vanilla could help you relax while also improving sleep quality. There are plenty of air fresheners and sprays, but if you’re sensitive to allergies, try an essential oil diffuser. While there’s no magic wand to address any area of life, I do know that sometimes, simply tuning into the seasons can help. Look to the fall. Mother Nature is reading itself for the sleep of winter. That makes it a perfect season for you to make more sleep a priority in your life. So give some – or all – of these tips a try so that you can channel better sleep for improved mind, body, and spirit. And I’d love to hear your best tips for getting better sleep! Is clutter is in the way of your ability to fall asleep? 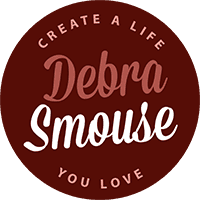 Consider one of my books or courses. 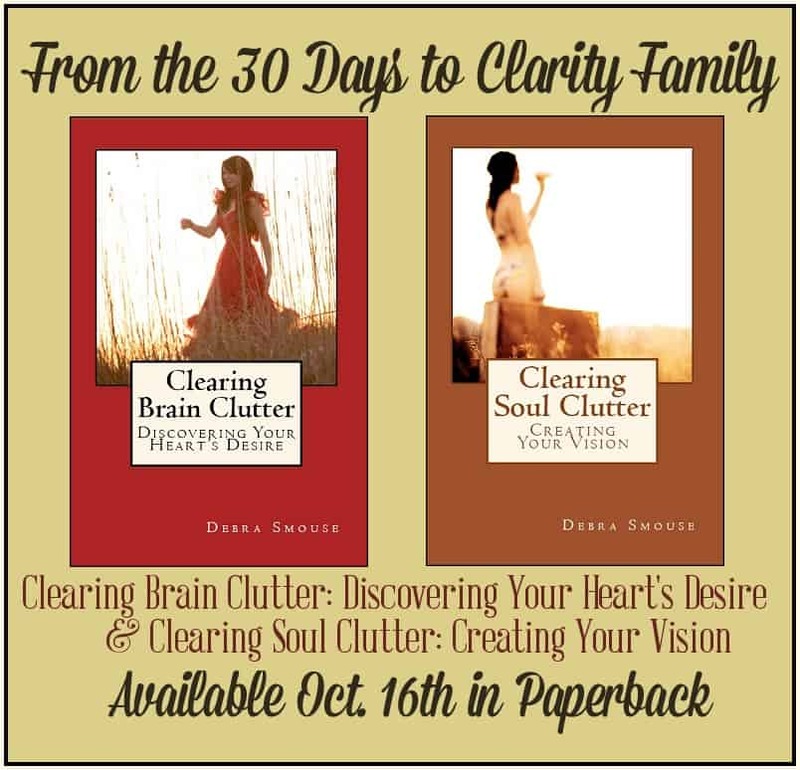 For physical clutter: my email course 30 Days to Clarity: Clutter Busting begins on September 17th. Each day, you’ll receive an email with a task that will take 30 minutes or less to complete – and leave you with a less cluttered home.